Associated Watch & Jewelery Buyers has a distinguished reputation when buying antiques and estate jewelry. 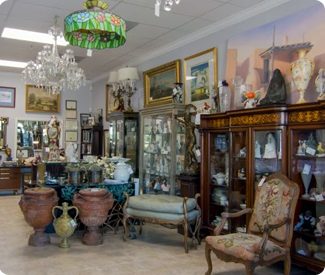 If you are looking for a reputable company to sell your antiques and estate pieces in Tampa, you have found us! From heirlooms to signed designer pieces, coins, and more, we are the number one trusted buyer and seller of quality antique jewelry in Tampa. If you are selling your diamond or antique jewelry, stop by our showroom to chat with our expert staff . 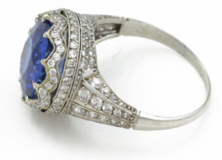 Selling antiques or antique jewelry in Tampa is as easy as completing our online form for a fast and free appraisal. Evaluating and appraising of jewelry, diamonds, gold, coins, and estate pieces will be done Monday through Friday from 9:30am-5:30pm. For art, antiques, silver and collectables, please call for an appointment. Interesting in Buying Antique Jewelry in Tampa? Our staff will be happy to help you pick out a piece that’s right for you. If you are interested in buying antiques, stop by our showroom to see our wide selection of antiques, estate pieces, and antique jewelry.